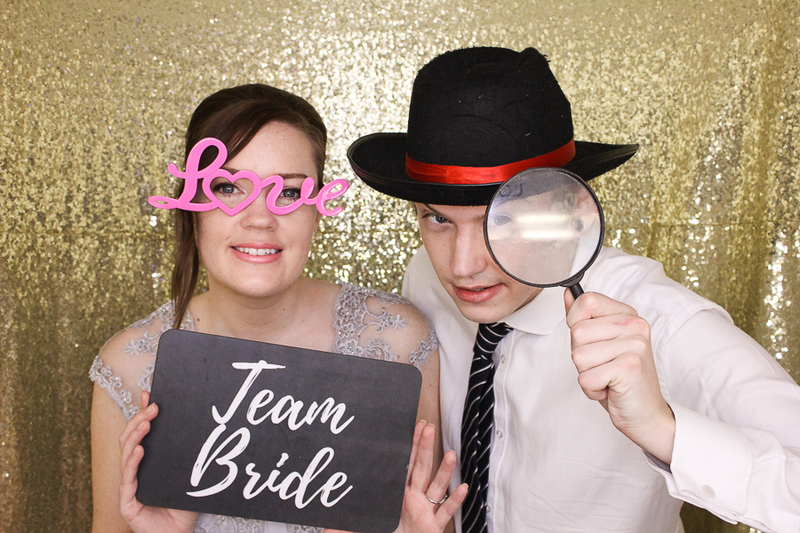 Last weekend Danielle & Luke tied the knot in a gorgeous winter wedding at Hoar Cross Hall in Staffordshire. 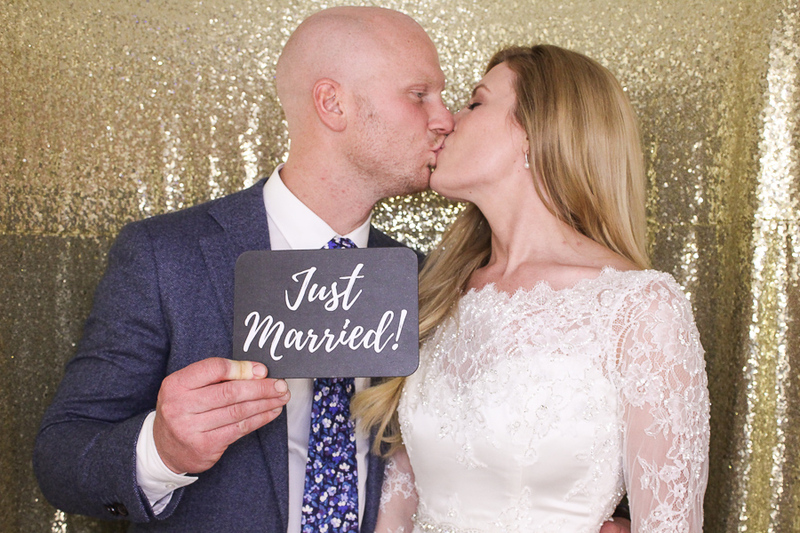 It was no surprise that Danielle looked absolutely stunning and the stylish setting on Hoar Cross Hall was the perfect venue for this lovely pair to celebrate with their family and friends on their special day! 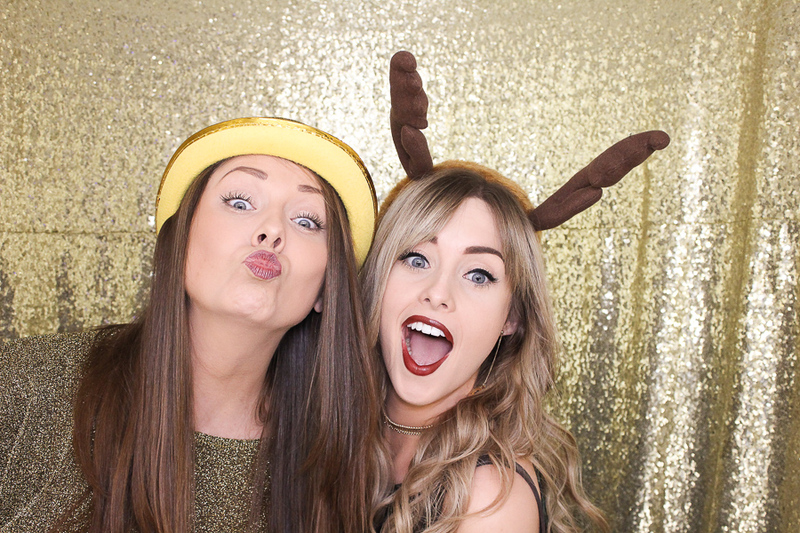 We supplied a white Classic Booth with gold sequin backdrop for the evening reception with a range of both wedding and Christmas props for their guests to use in the booth. 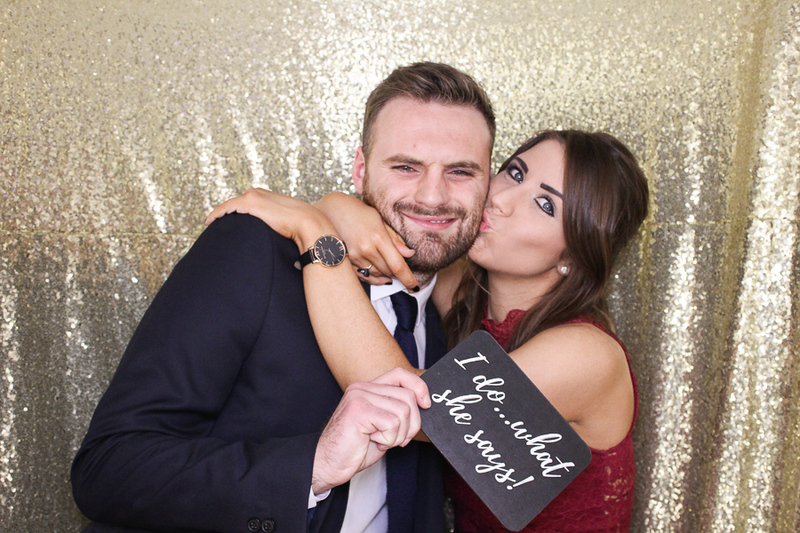 We think you’ll agree, looking at the snaps we’ve picked out they had a fabulous night! 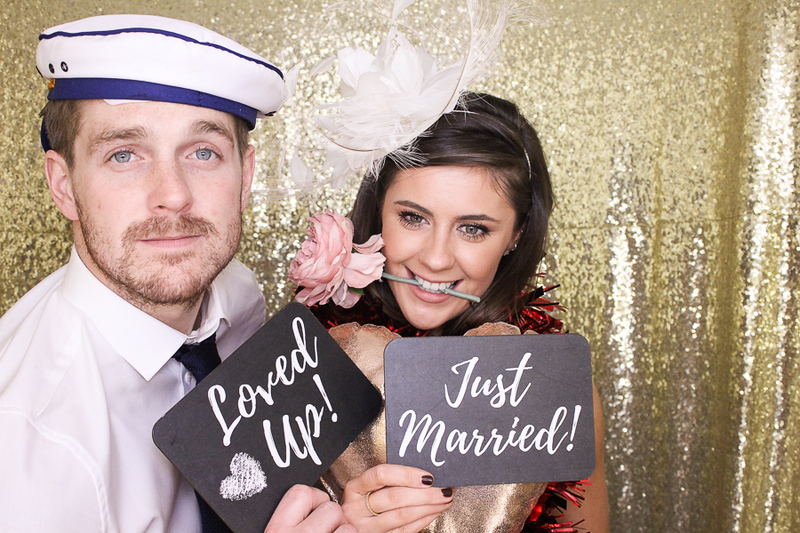 With double printing there was a second copy of each print for the guest to add to Danielle & Luke’s wedding guest book. 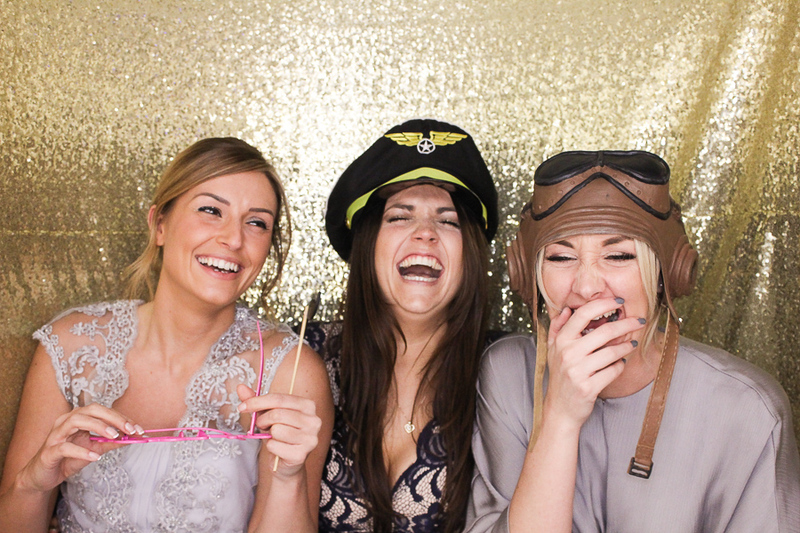 This is a fantastic fun filled book of memories from their family and friends! 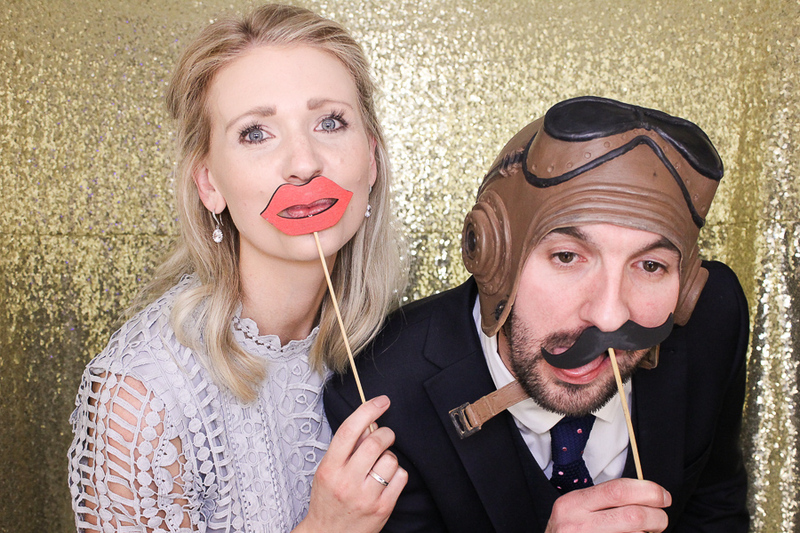 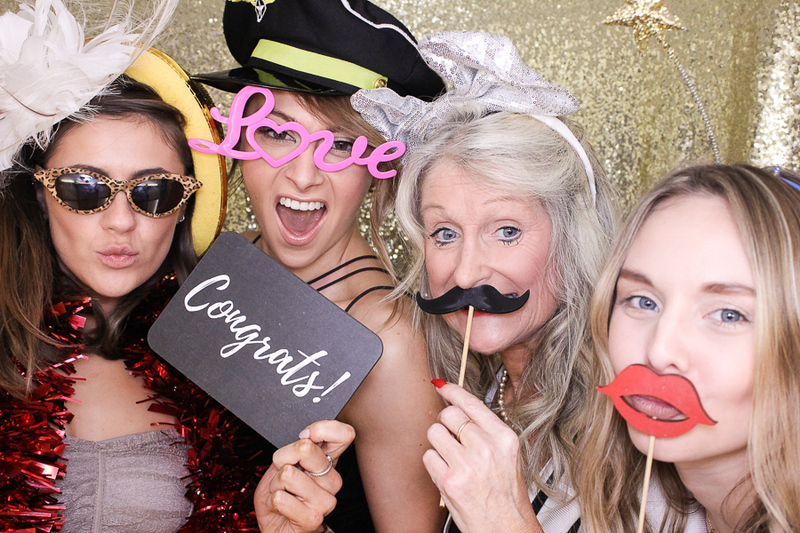 We’ve picked out some of the best moments from their wedding photo booth below and have also shared them on our Facebook page! 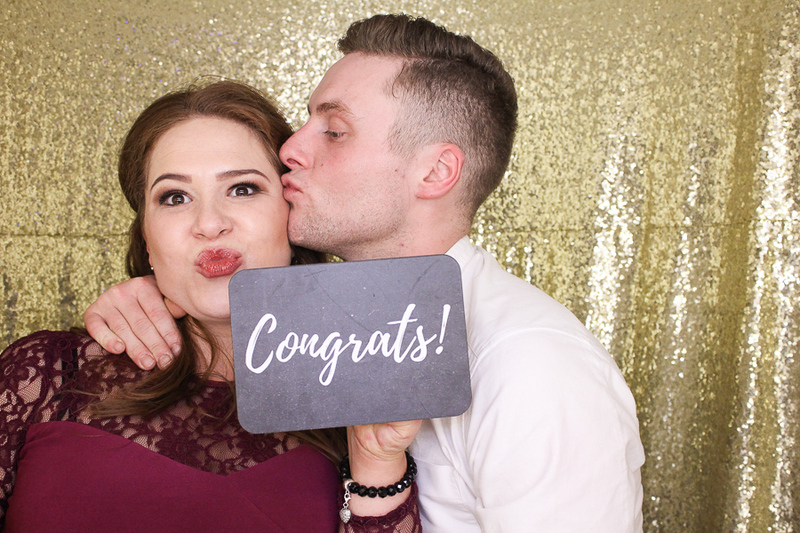 Congratulations to Danielle & Luke! 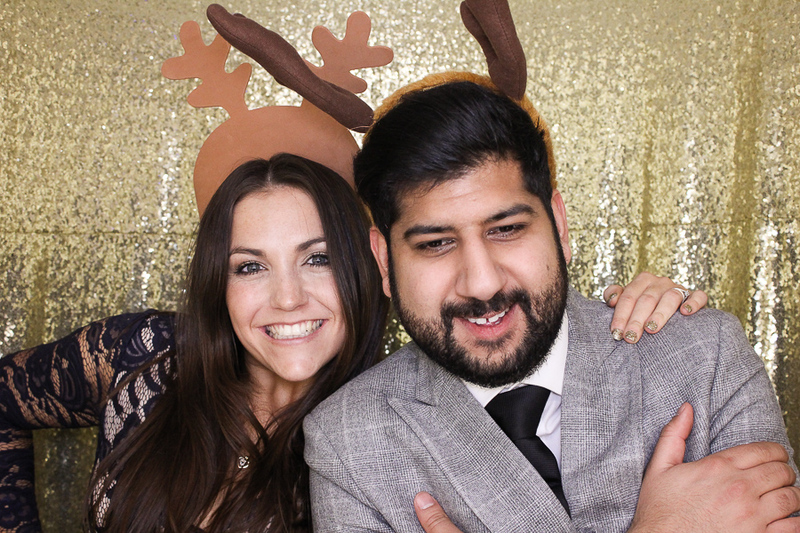 If you’re planning a winter wedding and would like more information about Photo Booth hire with Snapcandy please get in touch!